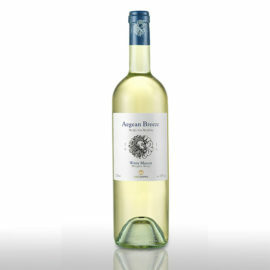 Α classic Mediterranean wine, brightly-colored with discreet floral aromas. 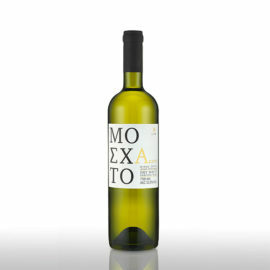 Τhe mouth is balanced, soft, velvety, with a mild character and a long aftertaste. 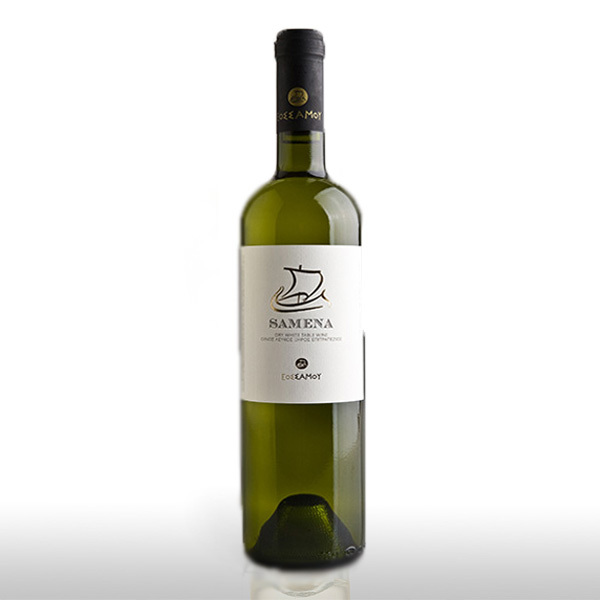 Served at 10ο C.
Samena, coming from lower altitude vineyards, is a brightly-colored wine with discreet floral aromas that co-exist in perfect harmony with those of the Muscat. 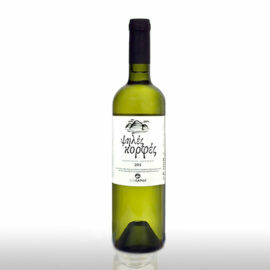 In the mouth, it is a classic Mediterranean wine with a balanced, soft, velvety taste, a mild character and a long aftertaste. Its potent mouth makes it a good accompaniment to mezedes (traditional Greek appetizers), fried fish, various casseroles and oven-baked dishes like pastitsio or moussaka and all kinds of pies, from the traditional repertoire of Greek cuisine.